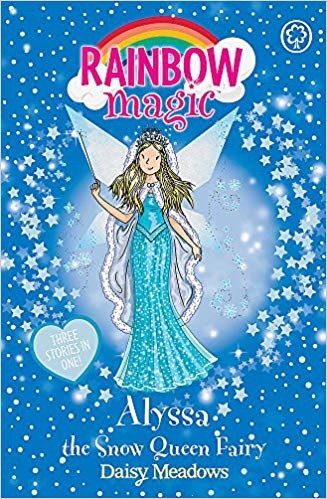 This book is about a fairy named Alyssa and she needs to get her 3 magic objects which Jack Frost has stolen from her. She needs Kirsty and Rachel’s help to find the objects and defeat Jack Frost. The objects are her magic snowflake, her enchanted mirror and an everlasting rose. They need to get them back so that winter will be nice and not too cold. The first object they need to find is the magic snow flake. The second object is the enchanted mirror and the last object is the ever lasting rose. They find the snowflake by making something out of ice. They get the mirror by taking Jack Frost’s coat off. They get the rose by giving an ice puzzle to a goblin.